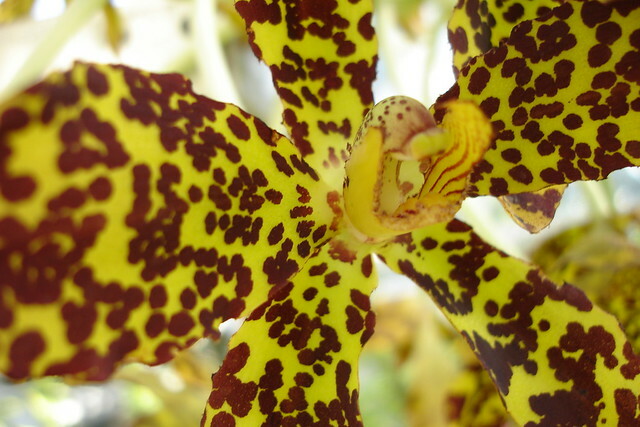 According to the BBG’s website, their Tiger Orchid specimen weighs 300 pounds. It’s hard to get a sense of this plant’s size just by looking at photos; in person it is just impressive as all hell. The BBG recently had to repot this giant of a plant because its wooden basket had begun to rot from the heat and humidity; their website has an interesting article with lots of photos of the repotting process here. According to the article, it took seven hours (and, judging from the photos, about that many people) to repot this plant!! 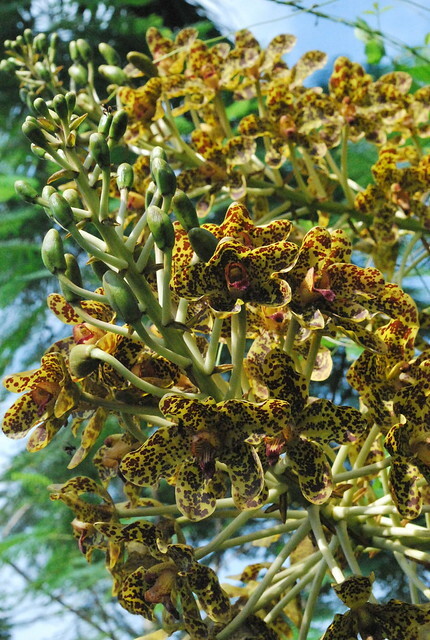 Tiger Orchids bloom once every two to four years; the one at the BBG last bloomed in 2008. When the BBG’s specimen does bloom, it is quite an event. 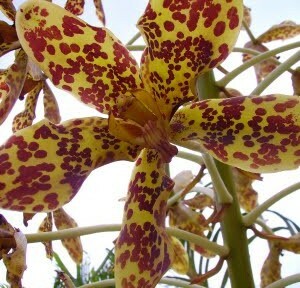 Now that your curiousity is piqued, how about we take a look at the Tiger Orchid’s flowers? Photo credit: BBG.org, photo by Dave Allen. You can clearly see where the Tiger Orchid moniker came from. This plant is pretty awesome, isn’t it?? 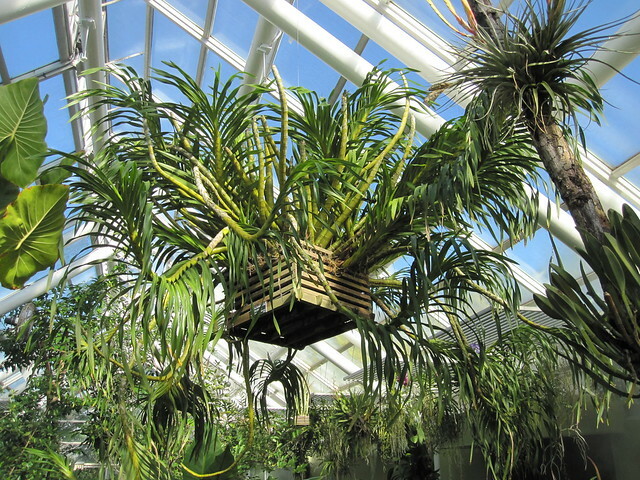 I haven’t had the pleasure of seeing Tiger Orchid blooms in person — I’ve only seen the gigantic plant suspended inside the Aquatic House at the BBG. The next time this baby blooms, I am going to run on over there so I can experience it firsthand! Looks like it should be the leopard orchid with all of its spots. I would love to go and visit this monster at BBG!! The photos of the repotting process are spectacular … wow! I think I have to retweet that link, will credit you! Thanks! This plant is just incredible. The pictures capture the size and overwhelming beauty of this orchid. The clusters of the flowers are magnificent.